I don't normally make charitable appeals on this page but I wanted to draw attention to some fundraising efforts by two of my colleagues. 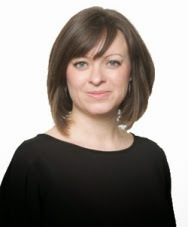 My Labour colleague, Councillor Lesley Brennan is taking part in the Relay for Life this weekend in support of Cancer Research UK. If you would like to support Lesley and her Keep Left team as they raise money for this worthy cause please visit their page. My ward colleague Councillor Fraser Macpherson is abseiling down the Tower Building in support of the MS Society Dundee Branch. Please visit Fraser's JustGiving site to make a donation to this great cause. 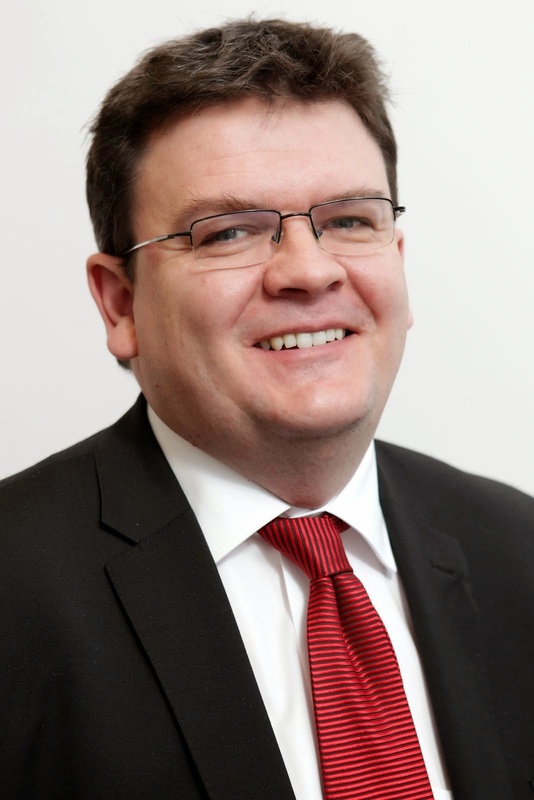 The City Council's SNP Administration has announced a U-turn where they have binned the unpopular policy on limiting what can be recycled at the recycling centre at Baldovie and Riverside. It is a shame that they have not reconsidered the situation at Marchbanks. I welcome this U-turn by the SNP Administration. I am glad that they have listened to opposition councillors and more importantly to the people of Dundee. I find it ironic that they are trying to claim credit for this given that they have consistently said that there are no problems with this policy. This policy was wrong, despite what the report to the council says next week I do not think that the policy was working in the way in which the council thought it would. The council is about to start a consultation on the future of domestic waste collection and recycling across the city I hope that it is handled better than this policy has been. I also hope that they listen to the people of Dundee from the start and don't impose something only to come back months later with their tail between their legs and admit that they got it wrong as they have over the recycling centres. Dundee should be at the forefront of recycling. I want Dundee to have a reputation as Scotland's greenest city. I am prepared to work with other political parties, charities and the people of Dundee to make this happen. 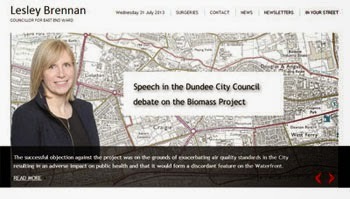 Since they got it so wrong in this case I hope that the SNP Administration will be open to working constructively with others to restore Dundee's environmental reputation. On Thursday evening I attended the quarterly meting of the Local Community Planning Partnership in the West End. This was an interesting meeting which discussed a wide range of issues. The Local Community Planning Partnership brings together a wide range of partners from the public and private sector. There was a presentation on a proposal to organise a time bank in the West End. If you are interested in this proposal for the West End there is a meeting about how to take this forward on 23rd August at 10am at the Volunteer Centre, Number 10 Constitution Road. There was an interesting discussion on the council's actions on derelict land and buildings in the West End. The council is starting to take this issue seriously but I think that the council should be looking at ways in which they can take serious action against owners who consistently refuse to take their responsibilities seriously. The City Council's Housing Department is consulting on changes to the council's Housing Allocations Policy and there was a presentation on this. On Monday evening there was a meeting of the City Council's Policy and Resources Committee (Police, Fire and Community Safety). This committee is how the local elected members hold the new national police and fire service to account. Although we do not have the power to instruct the police and fire service it is important that they listen to the views of local elected members. Hopefully we will be reflecting the views of our constituents. I asked a question about the percentage preparedness of firefighters. The target for the '%of operational personnel who have retained currency of risk critical core skills' was 80% but in the last quarter only 64% was achieved. I was told that this figure was improving and was also told that there had been no time when firefighter cover in Dundee was compromised. The Council made a very brief response to the consultation of the Scottish Fire and Rescue Service's Three Year Strategic Plan. I think that this is a document that anyone with an interest in promoting community safety should have a look at. There were also reports from Police Scotland highlighting their work. I was interested to see a break down of crimes in the West End ward and I will be keeping a close eye on this for the future to ensure that crime is adequately dealt with in the West End. Community safety is important and the council must work with the Scottish Fire and Rescue Service and Police Scotland to deliver for all the people of Dundee. It will be a test of the efficacy of the single police and fire service policy whether we are able to do this. On Monday evening there was the first set of meeting after the end of the summer recess. The first meeting was the August meeting of the Development Management Committee. The most important planning application was for the V & A at Dundee. I was pleased to see that this application went through without any opposition. I look forward to progress being made on this important project from now on. There was also an application approved for a pedestrian and cycle bridge over the railway line at Greenmarket towards Tesco Riverside an the waterfront. I think that this is an exciting proposal and I hope that it will open up the waterfront to people in the West End. There were a couple of other applications in the West End. I seconded an amendment which opposed giving planning permission for a off-sales at City Road. I felt that this was an inappropriate site for such a development given the proximity of sheltered housing. I was also concerned that the papers suggested that the title deeds at this development preclude the sale of alcohol. Whilst this might not be a issue for the Development Management Committee and there may be legal remedies for this it does strike me as silly to discuss a proposal which cannot at this time be developed. There was also an application for planning permission for a ATM machine outside the SPAR on the Perth Road. I was disappointed that this was a retrospective application given that the work has already been carried out. I have had a long standing concern about traffic issues outside this store and the impact that this has on traffic flows in the Perth Road. Whilst it may be that the Development Management Committee is not the best place to deal with this I voted against this proposal due to my concern about traffic in this area, unfortunately the committee voted to approve the application. Last week I received a very welcome visit from Willie Thomson, an organiser with the trade union Unite, along with two Dundonians who are the victims blacklisting, Francie Graham and Stewart Merchant. 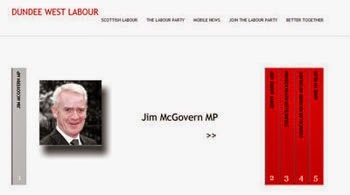 It was good to get the chance to hear first hand about the impact of blacklisting on the lives of people in Dundee. It was also good to hear from Unite about their campaign against blacklisting. I have already heard from GMB and UCATT about their concerns. 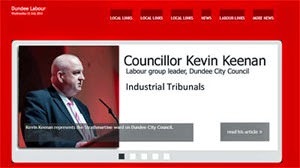 On behalf of the Labour Group on the council I am bringing forward a motion opposing blacklisting and committing Dundee City Council to take appropriate action to ensure that public money is not given to companies which are operating a blacklist. As I have said before I think that this is an issue of fairness. It is about whether how we think people should be treated. 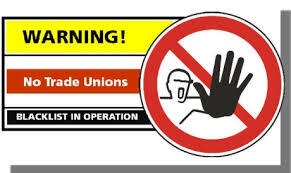 Should people who are trade unionists and have an interest in health and safety be discriminated against and have their livelihood taken from them? 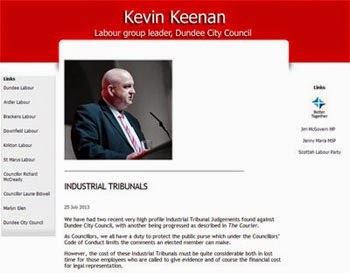 I hope that Dundee City Council will speak with one voice on this issue and give a clear signal that we believe that there is no place for blacklisting when the issue is discussed on 19th August.